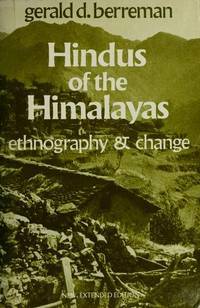 Berkeley, CA, U.S.A.: University of California Press, 1972, 1972. Trade paperback in very good- condition.. Soft cover. Ithaca, NY, U.S.A.: Cornell University Press, 1988, 1988. Trade paperback in good condition.. Soft cover. Good. Williamsville, NY, U.S.A.: Matthias Corvinus Publishing Company trade paperback in near fine condition.. Soft cover. Fine. Oxford University Press, 1977, 1977. trade paperback in very good condition.. Soft cover. Very Good. Armonk, NY, U.S.A.: M. E. Sharpe Incorporated, 1996, 1996. Hardcover in near fine condition with near fine dust jacket.. Hardcover. Fine/Fine. Lanham, MD, U.S.A.: General Hall, Incorporated, 1985, 1985. Trade paperback in near fine condition.. Soft cover. Fine. Lexington, Kentucky, U.S.A.: Univ Pr of Kentucky, 1996, 1996. hardback in fine condition in fine dust jacket.. Hardcover.